Doesn't our cue card make you drool? 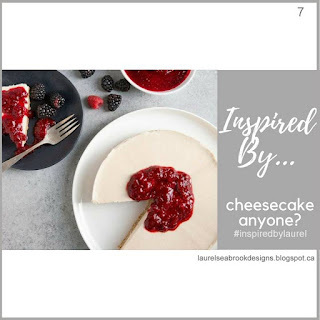 That cheesecake is mouth-watering and I took the cue from those sweet, sweet berries! 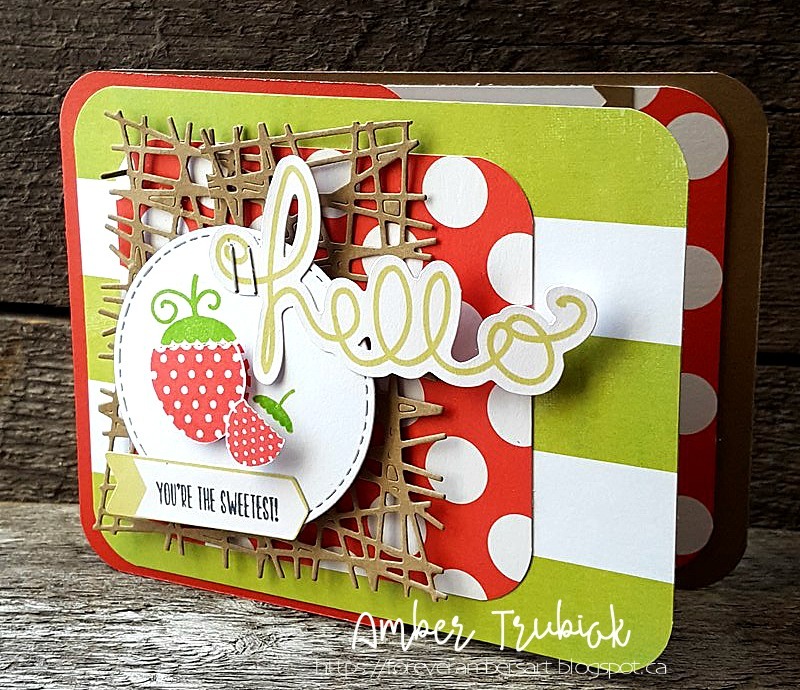 Now granted, I had to go into my stash of crafty goodness to find something "berry" but my Papertrey Ink set called Green Thumb was perfect! 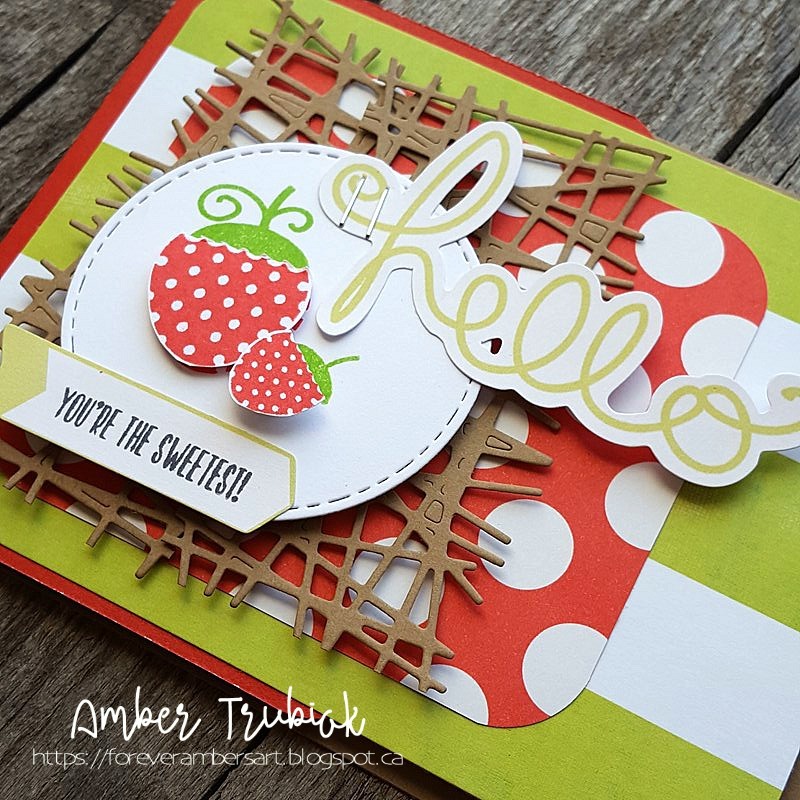 I stamped the berries with some CTMH ink and popped the berries up, layering dies from Paper Smooches over some Project Life cards! I also used a "sweet" sentiment from a Stampin Up set called Tasty Trucks! I hope this cue card inspires YOU to ink something up for our challenge this week! Oh my gosh, I think this is one of the first PTI stamps I ever bought...forgot all about them! They fit that berry theme perfectly, how fun!